A new procedure can repair an entire bone using 3D printing. 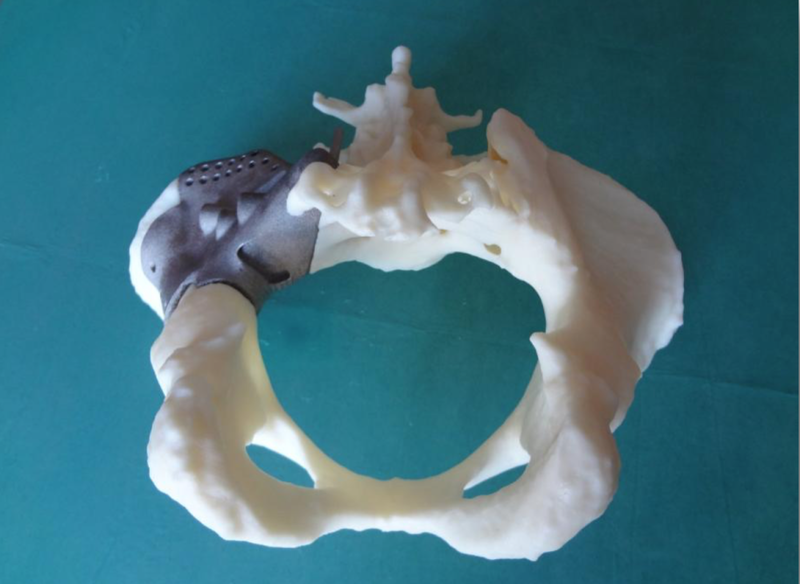 Three patients from Italy’s National Institute of Rome Tumori Regina Elena have just received 3D printed titanium implants. All three have been diagnosed with osteosarcoma, a kind of cancer that causes the disintegration of their bones, requiring them to be removed and replaced with prosthetic implants. This is the first hospital in Italy to make use of customized titanium implants that effectively allow physicians to repair or replace damaged bones. To produce the implants, the team used an Arcam electron beam melting (EBM) process. The success of the procedure is now allowing the hospital to explore how they can further expand the use of 3D printed prosthetics, with three more patients already lined up to receive the procedure. Typically, a bone damaged by cancer will require a modular bone prosthetic that closely matches the original. However, in certain cases, the damage caused by cancer or tumors that require extraction could lead to damage that traditional prostheses cannot mend. In these cases, the entire limb has to be removed. But now that researchers have found a way to use CT data to reconstruct a cancer-ravaged bone using the 3D printed custom titanium implant, it not only allows the repair of an entire bone (instead of cutting off the limb), it also lowers the risk of infection as well as speeds up recovery time for patients.